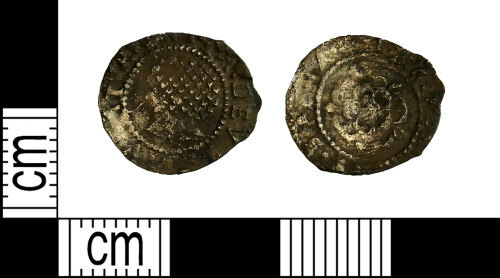 Post medieval silver halfgroat of James I dating from 1604-19 AD. Spink 2659. Post Medieval silver penny of James I Tower mint, 1604-19.